1 Cats crowd the harbor on Aoshima Island in the Ehime prefecture in southern Japan. 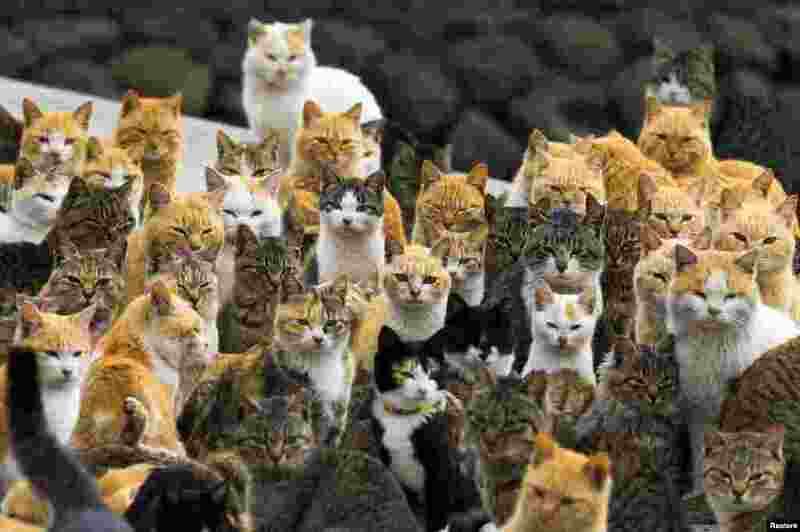 An army of cats rules the remote island, curling up in abandoned houses or strutting about in a fishing village that is overrun with felines outnumbering humans six to one. 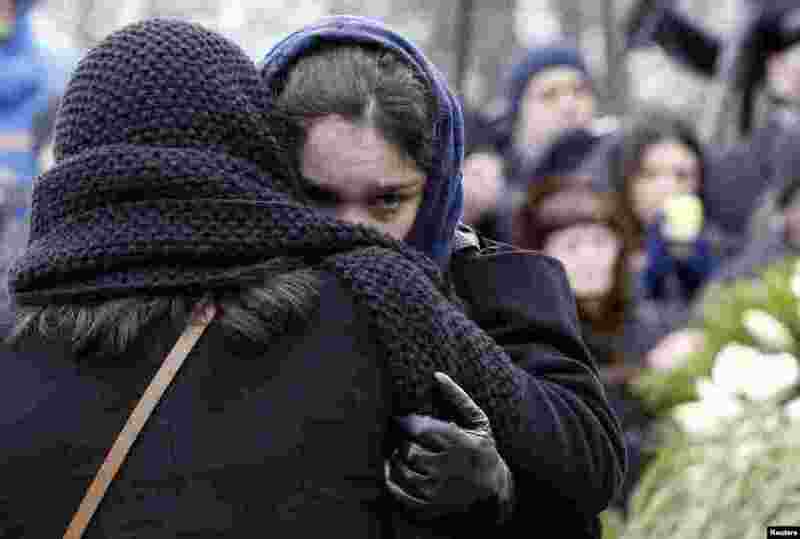 2 Zhanna, daughter of Russian leading opposition figure Boris Nemtsov, cries during his funeral in Moscow. Thousands of Russians, many carrying red carnations, queued to pay their respects to the Kremlin critic who was gunned down last week. 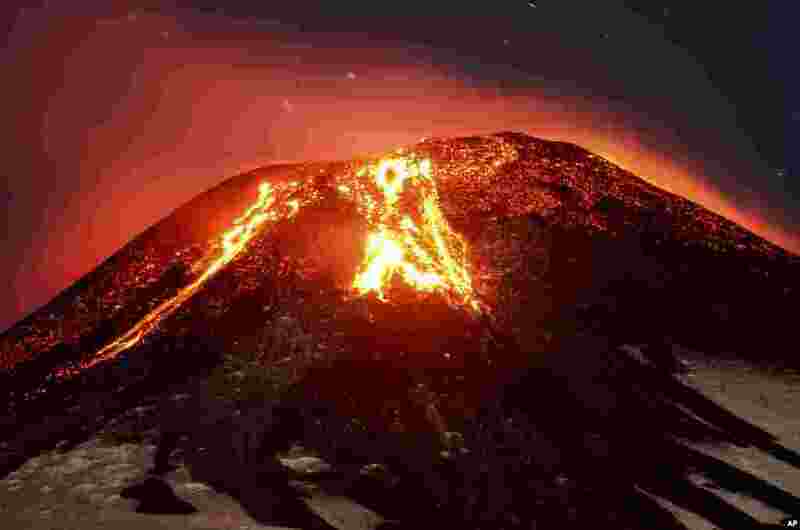 3 The Villarica volcano erupts near Pucon, Chile. 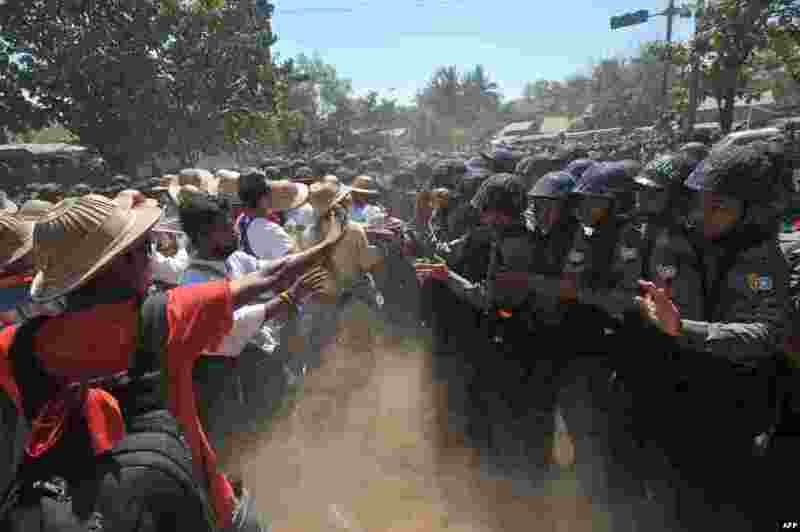 4 Myanmar riot police confront students during a protest march against an education bill in Letpadan town, some 130 kilometers (80 miles) north of Yangon. 5 Couples from around the world participate in a mass wedding ceremony at the Cheong Shim Peace World Center in Gapyeong, South Korea. 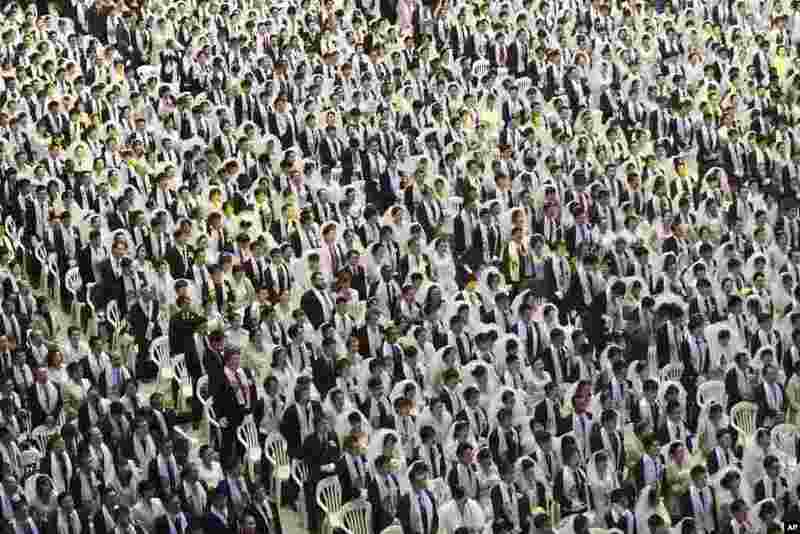 3,800 couples from more than fifty countries exchanged or reaffirmed marriage vows in the Unification Church's mass wedding. 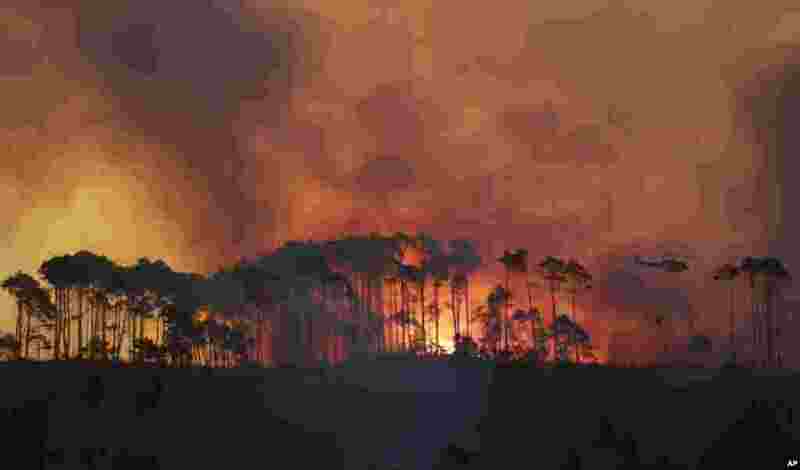 6 A helicopter water bombs fire in the Tokai Forest near Cape Town, South Africa. A wildfire continues to burn across the city's southern peninsula. 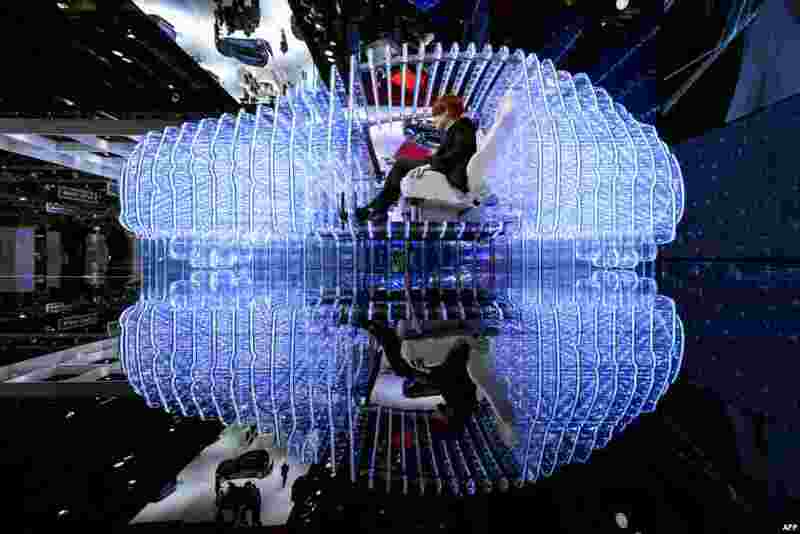 7 A woman poses inside the mockup of a car at the Opel booth during the press day of the Geneva Car Show in Switzerland. 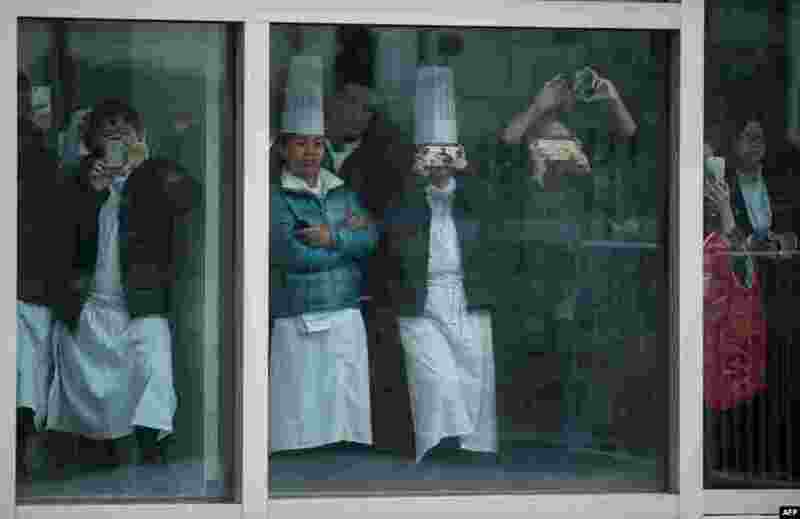 8 People take pictures through a window as they wait to see Britain's Prince William in Shanghai, China. 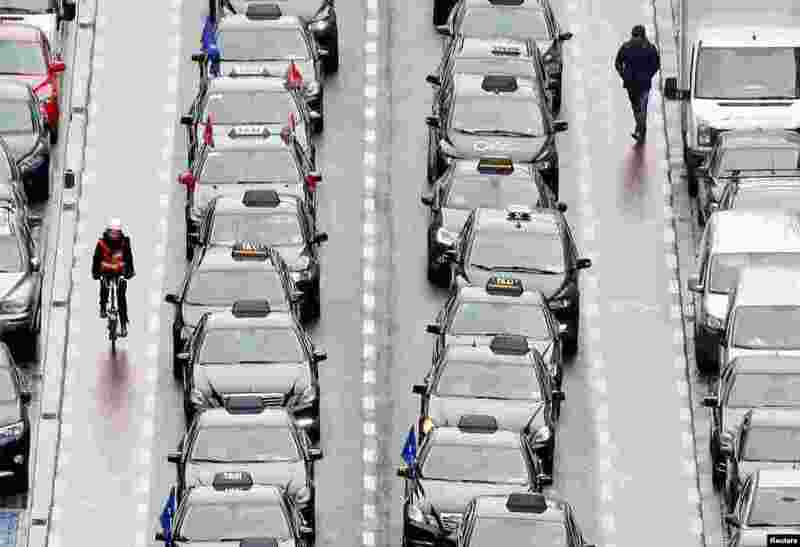 9 Taxi drivers line a street during a protest against the online ride-sharing company Uber, in central Brussels, Belgium. 10 Swedish music band ABBA's new wax figures are presented at the ABBA museum in Stockholm.